SQL Server 2019 preview Always Encrypted uses an enclave technology called Virtualization Based Security (VBS) memory enclaves. A VBS enclave is an isolated region of memory within the address space of a user-mode process. Rich computations. The engine can delegate some operations on encrypted database columns to the enclave. It can decrypt the sensitive data and execute requested operations in a query on plain text values. Always Encrypted with secure enclaves allows computations on plain text data inside a secure enclave on the server side. Microsoft define a secure enclave as a protected region of memory within the SQL Server process. It acts as a trusted execution environment for processing sensitive data inside the SQL Server engine. A secure enclave is a black box to SQL Server and other processes on the server. It is not possible to view any data or code inside the enclave from the outside, even with a debugger. You can now try and evaluate Always Encrypted with secure enclaves in the preview of SQL Server 2019. 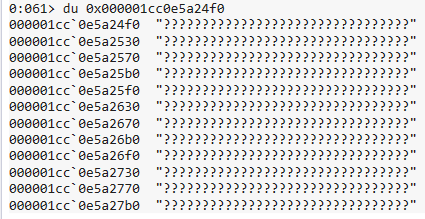 This shows what an admin would see when browsing the enclave memory using a debugger (note the question marks, as opposed to the actual memory content). Always Encrypted with Secure Enclaves – Try It Now in SQL Server 2019 Preview! At Microsoft Ignite a groundbreaking partnership was announced with a new vision for renewable data and intelligent applications. It is a jointly developed vision by Adobe, Microsoft, and SAP to deliver unparalleled business insight from your behavioral, transactional, financial, and operational data. It provides a single view of data built on one data model, artificial intelligence driven insights and an open extensible platform. 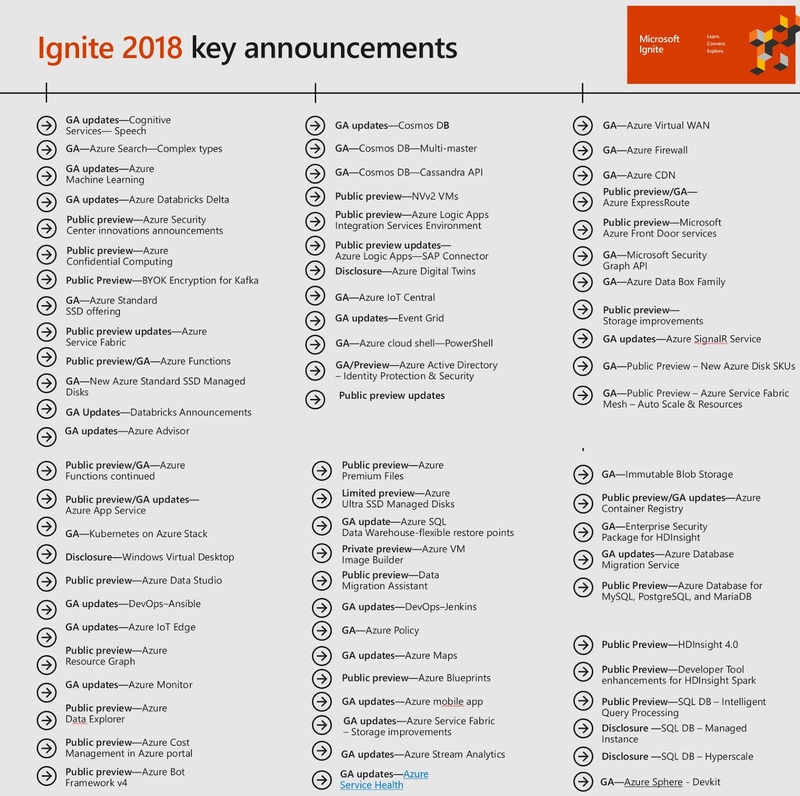 At Microsoft Ignite there were many data announcements. 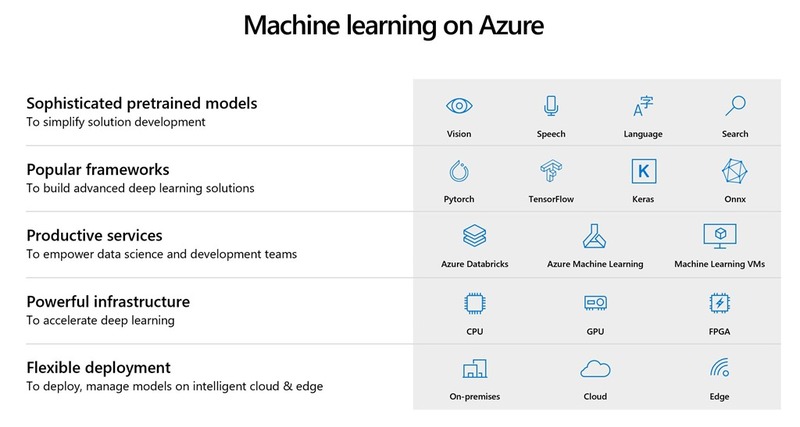 Azure AI is another such area that covers the next wave of innovation aimed at transforming business. There are 3 solution areas. There are now services specifically designed to help build AI powered apps & agents. There is valuable information hidden in documents, forms, pdfs and images. 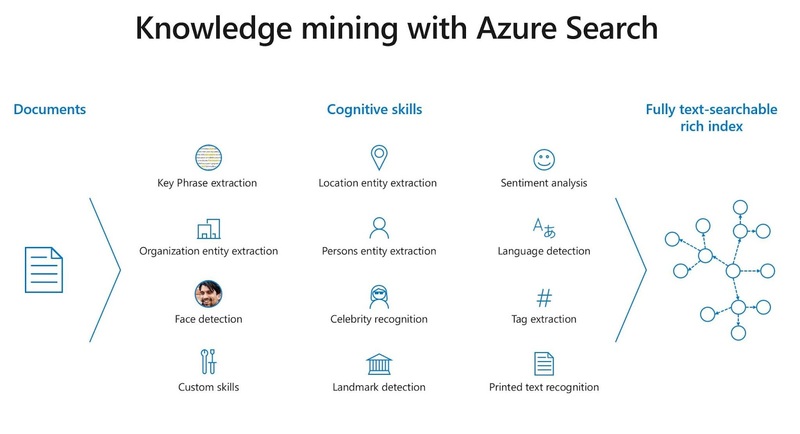 Azure Cognitive Search (in preview) adds Cognitive Services on top of Azure Search. Azure SQL Database Hyperscale is a new highly scalable service tier. It adapts on demand to different workloads and auto-scales up to 100 TB per database. This eliminates the need to pre-provision storage resources. This new service tier provides the ability to scale compute and storage resources independently, giving the flexibility to optimize performance for workloads. 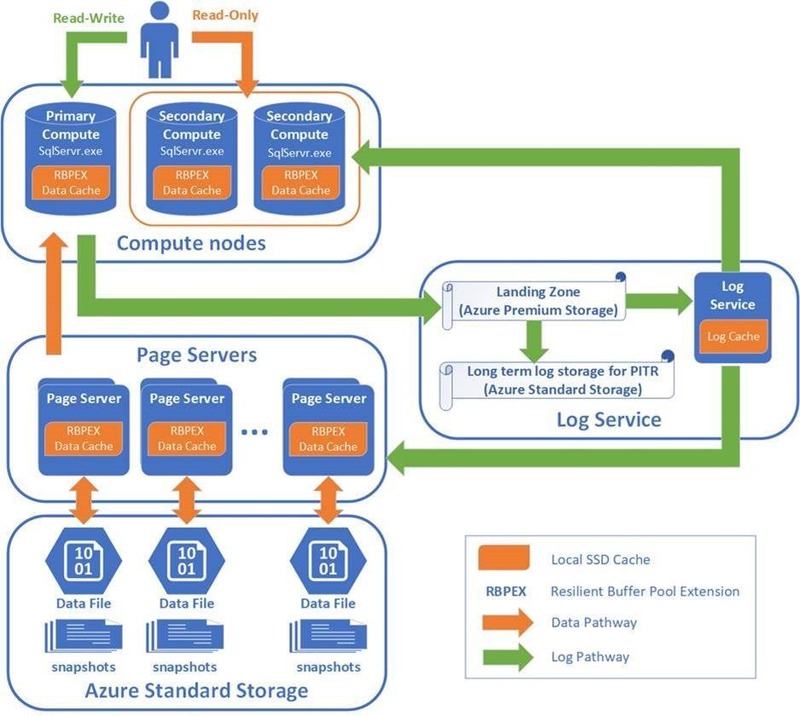 Azure SQL Database Hyperscale will initially be available for single database deployments. It is useful to not be limited by storage size for apps. There are learning learning options. Microsoft Virtual Academy (MVA) which is video based. EDX also provides other courses where you can learn about Microsoft technologies and follow different career paths. This year I was Head of Marketing and Social Media for Data Relay, the conference previously known as SQL Relay. It is a privilege to be able to help put on an event which in 5 consecutive days, travels to 5 different UK cities across the breadth of the country. This year we invested a lot of time trying to improve the conference. We re-branded to Data Relay to be more in keeping with the breadth of the Microsoft Data Platform. We introduced a Code of Conduct to help encourage diversity at the conference and several other things. Our aim is to keep improving the conference. I was the Bristol Venue Event Owner and this time delivered a session about the end to end process of data management, things to consider when improving data quality and data science in industry, based on findings from my PhD research. The session also covered data collection areas, that are often led by marketing teams. I shared details of my research findings about the complexity of managing database systems, the use of the Microsoft data platform for research and the possible future AI developments to help people manage database systems with greater ease. The Microsoft Ignite 2018 news and highlights from the event. I am speaking at SQL Relay 2018 in Bristol, Friday 12 October. My session is: Research skills for industry experts. It is becoming ever increasing the need to present analytic outcomes. Analytics are only ever as good, as the robustness of the data collection and analysis. This session will cover the raft of research skills that can be applied in industry to improve the quality of your investigative work.